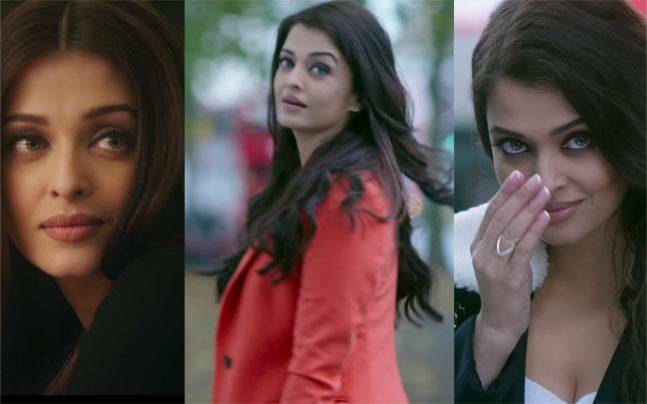 Karan Johar directs Ranbir Kapoor, Anushka Sharma and Aishwarya Rai Bachchan in Ae Dil Hai Mushkil. The story of unrequited love is said to be almost autobiographical with Ranbir playing the dramatized version of Karan Johar. 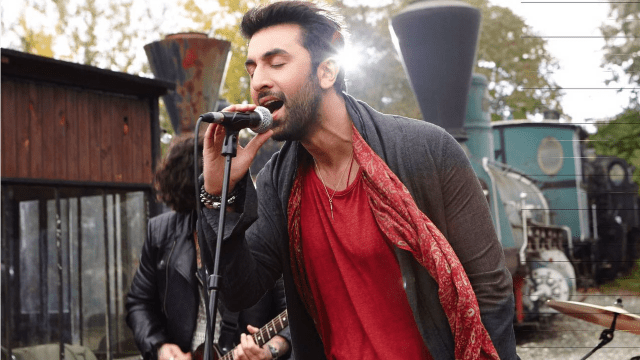 Ranbir Kapoor plays Ayan Sanger – rich brat pursuing MBA in London while nursing a dream of being a singer. Ayan is also the narrator of the story and the entire movie is told in a flashback while Ayan is being interviewed following his success as a singer. When asked why his songs sound of unrequited love Ayan takes us back to where it all began. The chance meeting with Alizeh Khan played by Anushka Sharma, the blossoming friendship, the homage to many milestone movies of Bollywood including Ranbir’s tribute to his own father’s iconic Chandani. Delving any further into the story would be a disservice to the nuance that Johar has crafted into the complex relationship dynamics between Ayan and Alizeh. The first half starts off stutteringly where the intensity of Ranbir and the levity of Anushka seem to be a little bit like oil and water. Despite their best effort it isn’t easy to identify nor feel for the characters. Only once the unnecessary shenanigans of Ranbir’s girlfriend and Anushka’s fiancé are done with does the movie really pick up. The scene leading up to the intermission is gut-wrenching in its rawness. This is the Ranbir we know and love. He can play the heartbroken hero a hundred times over but he manages to imbue a sense of novelty, be it his driven Janardhan aka Jordan in Rockstar or the vagabond Bunny in Yeh Jawani hai Deewani, and be it him as the bottled up millennial Ved in Tamasha or coming of age Sid in Wake up Sid. You laugh with his antics and you feel the pain in the pit of your stomach as you see him repeatedly bang a flowerpot on his chest. It is a shame that an actor’s worth today is equated with the box office collection – ADHM may not do the hundreds of crores in business but make no mistake – Ranbir has no peers. Anushka Sharma is fantastic as Alizeh, a complex character who even in her hysterical scenes seems so genuine. Anushka does a lot of the heavy lifting as the central figure of the story. It would have been better had the writer and the director given a little more thought to her story graph. The back story is dispensed with rather quickly. The reconciliation and the breakup of her relationship with Fawad is done in such a haste that it leaves you a little bewildered. Thankfully no such complaints with the role crafted for Aishwarya Rai as poetess Saba Naqavi who nurses Ranbir’s broken heart with a tempestuous relationship. Saba has a purpose to the story; a perfect introduction, a fantastic middle and a visceral end. Much has been said about Aishwarya’s beauty and all of it is true but here she has taken her beauty to lethal levels. As the seductive and shayarana Saba she catches you mid-breath and makes you gasp. Even an actor of the calibre of Ranbir diminishes to the background when Aishwarya is on screen. Giving Aishwarya lines which Ranbir describes as “chalti firti Ghalib” is rife with potential for disaster as she often tends to overdo the breathy sensuality but her she is wonderfully restraint and lets those gorgeous blue green eyes do all the work. Alia Bhatt is Johar’s new lucky mascot and makes a blink and you’ll miss it appearance. Fawad Khan is pleasing to the eye but not much more. Lisa Haydon plays the bimbo to perfection and is genuinely funny. Shah Rukh Khan is a pale shadow of his former romantic self and is difficult to look at and even more difficult to listen to. The absolute stand out for me has been its music. The title track has all the seriousness that you would expect from a movie about such a combustive relationships. The breakup song and Cutiepie the hallmark Johar dance numbers that are immensely hummable. Bulleya has all the intensity of unrequited love. 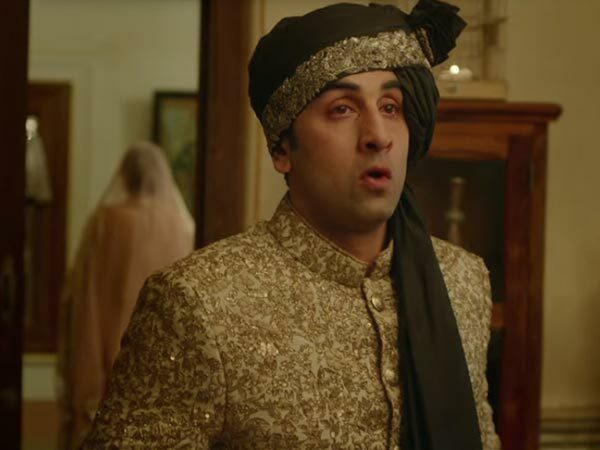 But the absolute tearjerker is Channa mereya – the lyrics, the expression the context are phenomenal. Anil Mehta’s camera work is gorgeous, but I am sure it must not have been difficult to shoot such a beautiful cast in such spectacular locations. I honestly wish a little more time was spent grounding Alizeh and Ayan’s characters with a little bit of their history and a gradual build up to their friendship. I could easily have done away with the bit with Lisa Haydon entirely regardless of how hilarious she actually was. The dialogues in comparison to the lyrics of the song seem very second rate and do nothing to amp up the emotions. The pre-climax Friends throwback “did she get off the plane” is sublime. I had a more complex plot going on in my head and in comparison the story is pretty straightforward and conventional. One-night stands and friends with benefits aren’t ground breaking territories anymore and Karan Johar really needs to continue to push the boundaries even more. Minor complaints aside this is a fantastic movie for so many reasons. Ranbir is transcendental. Anushka relatable and Aishwarya ethereal. Karan Johar surely knows how to tell a love story and I’d rather watch him direct aspirational escapist love story than the ones he ends up producing. Watch it for Ranbir. I’ll re-watch for Aishwarya! Rakeysh Omprakash Mehra directs debutantes Harshvardhan Kapoor and Saiyami Kher in Mirzya. 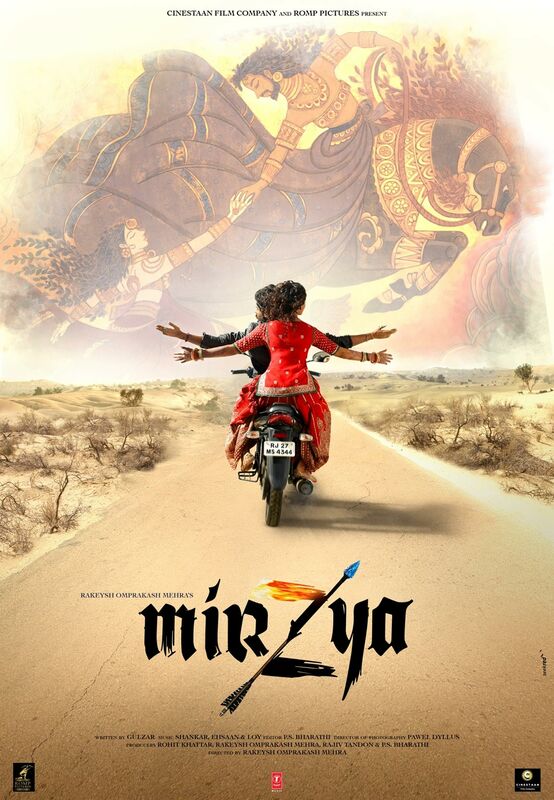 Mirzya is the story of the famed folk tale of Mirza Sahiba the star crossed lovers who meet a tragic end. Monish and Suchitra are childhood friends who go to school together. When Suchitra covers for Monish when he hasn’t done his homework she is punished. Monish enraged by such cruel treatment of her beloved takes drastic action and is sent to the correction home for young criminals. Suchitra moves away distraught. Years later Suchitra is engaged to the prince of Jaisalmer Rajasthan and Monish having escaped the remand home and changed his name works as the horse groomer for the prince fully aware of Suchitra. What follows from here on is the tale on the lines of the Mirza-Sahiba. Rakeysh Mehra used the dual timeline to tell the story in the landmark Rang De Basanti tries it once again with Mirzya. There is Mirzya the warrior who bids for the princess’s hand and then elopes with her on her wedding night only to be pursued by the princess’ clan and her fiancé and there is Monish and Suchitra the modern day Mirzya and Sahiba. Where Mehra succeeded in Rang De Basanti was the relentless pacing of the movie that kept the audience engrossed and the two timelines never repeated what was happening by merely changing the props. With Mirzya the story is literally scene for scene retelling of the same snippets of the stories in the two timelines. It isn’t entirely unpleasant simply because of the jaw dropping scenery involved. The ancient tale is set on the virgin landscapes of Leh and Ladakh and the contemporary is set amidst the golden sands of Rajasthan, arguably two of the most beautiful places not only in India but the world over. Polish cinematographer Pawel Dyllus frames each scene as if a couplet of poetry. Every tragic scene is captured so beautifully that all you can do is sigh contentedly. The music by Shankar Ehsaan Loy coupled with the Gulzar’s heartrending lyrics is the absolute stand out of the movie, a little restraint perhaps would have proved to be more effective the “nadiyaa” song seems a throw away but the Hichchaki and the title track are goose-bump inducing. The frenzied dancing of the blacksmith is the meeting of the two flowers of yesteryear and I for once commend the director for making that visual choice instead of the writhing bodies of the hero and heroine. The imagery on the walls of the village is also a nice touch. Harshvardhan Kapoor seems to have inherited his father’s ruffian charm. As a debutante he is composed and charming and entirely believable as the Rajasthani horse groomer. I cannot wait to see what he does next. Saiyami Kher is a stunning beauty with flyaway curls a plenty and bambi like eyes that hold your attention. She however lacks the gravitas to pull off the role of the tragic heroine Sahiba and her performance seems a little superfluous. In the final scenes though she does full justice to Sabyasachi wedding lehenga running across the unending dessert as if from the pages of some editorial. A few diction lessons and practising a resting face will do her good in the long run. Anjali Patil as Zeenat in a minuscule role leaves a lasting impression and Anuj Pandey as Prince Karan is mostly believable. Go for the visuals, stay for the soulful lyrics and leave with the spine tingling music still buzzing in your head. Every frame is a moving painting, every word a story of heartbreak in itself and every note a life affirming experience. Go watch Mirzya!